You need to send millions of messages to your large opt-in mailing list over the upcoming holiday season. You need these messages to go out pretty quickly and to not get blocked by your recipient ISPs so that the maximum number of your (potential) customers get your marketing messages and thus you can maximize your conversion rates on these messages. This is a common scenario that we see, often from customers who have been using another provider that is excessively expensive, where delivery is sluggish, and/or where their messages are getting blacklisted or grey listed by their recipient’s systems. Here we will share with you our standard prescription for solving this delivery dilemma once and for all. There are multiple important factors involved, each of which will contribute to your success. When sending out hundreds or thousands to millions of messages in a month, you really want to be using one (or more) dedicated servers. The server and its resources are all yours. No other customers will be sharing these resources with you. The server will have a dedicated IP address that is all yours. By not sharing the server with other customers, you are assured that the entire power of your server is always at your disposal so that your messages can be sent as fast as possible. In a “shared” system, your actual sending speed can be degraded by the usage of other customers. The IP address of your server is the address that ISPs see all your email as originating from. The reputation of this IP address (e.g. how much “spam” is seen coming from it) plays a critical role in determining the deliverability of your messages. By having a dedicated IP address, your server’s reputation and delivery power are a function only of your own sent marketing messages. Contrast to a shared environment where a bad apple customer sharing the same IP address as you can send spam and diminish that address’ reputation causing your email to be delayed or denied as a result — at least until the issue is detected and remediated. A dedicated IP insulates you from that … and dedicated IPs these days really only come via dedicated servers. 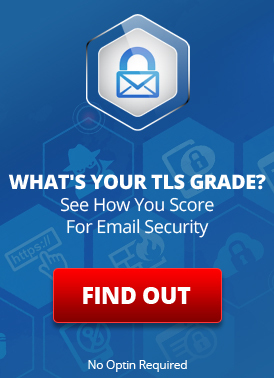 When your recipients’ mail servers are evaluating your email marketing messages to determine how “spamlike” they are and if they should be let through to their INBOXes or not, many factors are considered. The first is the reputation of your sending server’s IP address (discussed above). They also look at the content of your message and the words you use to see how much those look like other known spam messages. You can use tools like those built into Spotlight Mailer to discover these spammy words and revise your message to sound more “respectable”. However, a vast majority of spam on the Internet comes through using forged email addresses as the senders. As a result, ISPs highly value any way that they can validate if a message is or is not forged. If you provide “signatures” in your messages to prove that they are not forged and that they are coming from the authorized servers for messages from your domain, that greatly enhances the legitimacy of your email and thus the deliverability of those messages to your customers’ INBOXes. To do this, you would setup SPF and DKIM for your domain to designate your email marketing provider as an authorized sender of email from you. See also 7 misconceptions about DKIM in the fight against SPAM. Your email marketing provider should be able to assist you with setting this up. If you need to send a large number of messages relatively quickly, you may be hampered by sending through a single server. There are many factors that affect sending rate. A big one is the server you are sending through. A single server can only process so many concurrent connections from you, can only process so many messages at once, has only so much network throughput, and thus will limit how many messages you can get out per second. You can mitigate this either by (a) getting a more powerful server, or (b) by using multiple servers. While using a larger server is simpler and works in many situations, use of multiple servers is often recommended for customers with very large sending volumes. In terms of speed and volume, multiple servers give you more network throughput and disk I/O throughput that you would usually get simply by beefing up a single server … and it often comes with a smaller price tag (2 cheap servers is often the same or less expensive that a single server that is 2x as powerful). With a multiple-server scenario, you can also scale up and down your capacity as needed by adding and removing servers from your system. E.g. add more near the holiday rush, and dial back for the rest of the year. It is usually more difficult to upgrade / downgrade a single system and that also, when possible, usually involves downtime and may change the IP address on which you have carefully built up a great reputation. There are, however, several additional reasons why multiple servers is preferable to a single powerful server. If you have multiple servers and one fails, you can still deliver your timely marketing messages through the others while the failed one is repaired. The more email that comes to an ISP (like yahoo) from a single IP address, the more suspect that email can appear to be. There will also be a larger number of complaints against your mailings as the number of messages coming from your IP goes up. Finally, some IPs (like yahoo) will throttle messages from your IP when the quantity being delivered reaches some threshold. By splitting your marketing over multiple servers and thus multiple dedicated IPs, you proportionally decrease the amount of email coming from each IP and thus enhancing the reputation and deliverability of email from all of your IPs. You also increase the maximum rate of delivery of messages to ISPs like yahoo that rate limit email delivery (because your email is not coming from just one location). If you start a running race without being warmed up, you are likely to hurt yourself and lose. It’s similar with email marketing. If you get a shiny new dedicated server (or fleet of them) and then start jamming out email marketing messages as fast as you can, you are likely to become quickly blacklisted and your email deliverability is likely to greatly suffer. Imagine the scenario from the point of view of your recipient’s ISPs (e.g. AOL or gmail or yahoo). They have gotten little or no email from your new IP address in recent history and all of a sudden they are inundated with email. Chances are, they will think, that machine has been taken over to send spam…. the spammer hoping to get out as many messages as possible before being caught. Of course, that is not you … you just want to tell your subscribers about your latest deals before they expire. Ramp up. Over the coarse of a few weeks, gradually increase the volume of email coming from your servers from an initial modest amount (e.g. 1000s a day) to close to target amounts (10s of thousands or more per day). Be consistent. Be consistent with your message wording and content. If your messages are consistent and not very spam like, it will help build your IP reputation. By ramping up like this, you will not catch the IPs “off guard”, they will accept your initial modest email blasts just fine. They will allow the messages through and then see that people are not really complaining about your email (e.g. not marking it as spam). As those initial sends go well, they will allow your larger and larger sends as well … as the reputation of your IP address builds from “unknown” or “solid”. A pre-warmed IP is when an email marketing provider gives you an IP that “already has a good reputation” so you can “just get going”. How is an IP pre-warmed? It is done when some other company uses it for sending their email. If that company does a good job and builds a good reputation and then doesn’t need the IP anymore, for some reason, and then you are lucky enough to be assigned that IP … maybe you can just start without “warming up”. Maybe. How good is the reputation of that IP? What were they sending on it? If it is really different from what you are sending, will that affect how “warm” it appears to be with respect to my messages? Even if the reputation was good, what volume were they sending … so what volume can I send to not surprise the ISPs? As you generally will not know the answer to any of these questions, especially #2, it is always best to “start slow” and warm up the IP yourself, even if it was “pre-warmed”. This can only be to your benefit... like stretching. This entry was posted on Monday, September 8th, 2014 at 12:37 pm	and is filed under Case Studies, Email Marketing. You can skip to the end and leave a response. Pinging is currently not allowed.